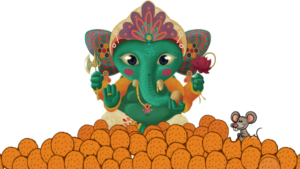 Happy Ganesh Chaturthi 2018: Ganesh Chaturthi also known as Vinayaka Chaturthi or Vinayaka Chavithi in various parts of India, will be celebrated from September 3 to September 10, this year. The ten-day auspicious festival that starts on the fourth day of the Hindu luni-solar calendar falls in the month of August or September, every year. In the month of Bhadrapada, Lord Ganesha in the form of clay or stone idols is brought home. From mouth-watering modaks and moti choor ladoo to chanting of Vedic hymns, devotees worship Ganpati in order to seek his special blessings. Worshippers in the Indian states like Maharashtra, Karnataka, Telangana, Gujarat, Goa and Chhattisgarh thoroughly laud the birth date of Lord Ganesha, who is also referred as the God of New Beginnings by setting pandals and Mandaps. Although, the exact date of Ganesh utsav is unclear but according to manuscripts, the celebration of Ganesha Chaturthi began in Pune from the era of Shivaji. 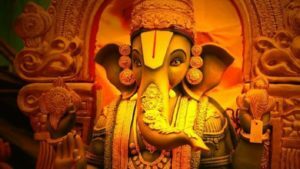 Take a look at our special collection of Happy Ganesh Chaturthi 2018 wishes and message: WhatsApp status, GIF images, wallpapers, quotes, greetings, SMS and Facebook posts to wish your family and friends. Superstar Salman Khan spotted having fun at Ambani's house during the Ganesh Chaturthi celebrations. On the occasion of Ganesh Utsav, Bollywood diva Shilpa Shetty Kundra shares a family video while seeking Ganpati's blessings. "Bud'dhīcā dēva, śāntatā āṇi prēma saha grēsa, āṇi tujhyāvara kr̥pā karaṇārā rājā āhē. Vara svargātūna! Gaṇēśa caturthīlā ānandī!" Gaṇapatīlā nēhamī āpalyā gurū āṇi sanrakṣaka mhaṇūna rāhūna āpalyā jīvanātīla aḍathaḷē dūra karā. Āpaṇa āṇi kuṭumba ānandī āṇi dhan'ya gaṇēśa caturthīlā śubhēcchā! In yellow saree, Bollywood beauty Madhuri Dixit Nene looks gorgeous while celebrating Ganesh Chaturthi. BJP Chief Amit Shah took to his official Twitter account to wish Ganesh Chaturthi. 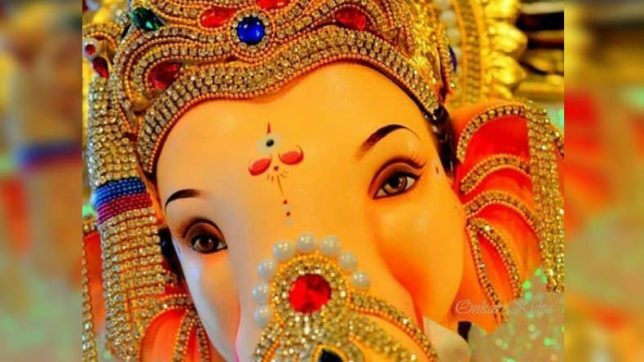 Megastar Amitabh Bachchan too took to his official Twitter account to share some adorable photos of Ganpati Bappa. Instagram users share beautiful videos and photos of Bappa. Twitter users pour out love and blessings on the auspicious day of Ganesha Chaturthi.